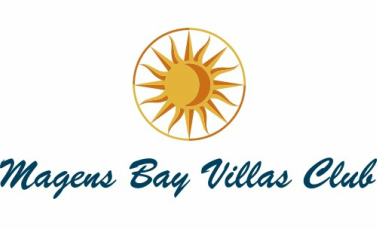 Magens Bay Villas is a small, intimated & secluded, resort located on St. Thomas, US Virgin Islands. We are perfect for couples and families alike who want to avoid larger crowds and the more commercial locations. If you are looking for a welcoming stay at a resort with beautiful views of Magens Bay and the Caribbean then Magens Point is just what you are looking for! Each of our studios, 1 and 2-bedroom suites are equipped with all the necessary amenities for those who look for a home away from home. Our staff is dedicated to making your stay a memorable one. Experience our island hospitality firsthand when you stay with us. Relax by the large fresh water pool, play a friendly game of tennis or try your luck in the video lottery gaming room which features blackjack, poker, and keno. Enjoy gourmet coffee, pick up a bottle of wine, rent a beach chair, enjoy a fresh pastry or any of many deli items offered daily at at the Cup and Cork. If you are having a difficult getting into the proper vacation frame of mind, ease into either Rock Garden grotto hot tub or the Cababa Hot Tub and soak your cares away. If a more intense or innovative approach is called for then try our Health and Wellness Therapeutic Spa www.virginislandsmassage.com/contact which is specifically geared towards body and mind healing. The resort has helpful staff to arrange sightseeing trips and activities for the romantic couple or fit for family-friendly environment. Excellent duty-free shopping is just minutes away in Charlotte Amalie. Below is a list of premium suite and property amenities that everyone will experience while staying at Magens Point Resort.